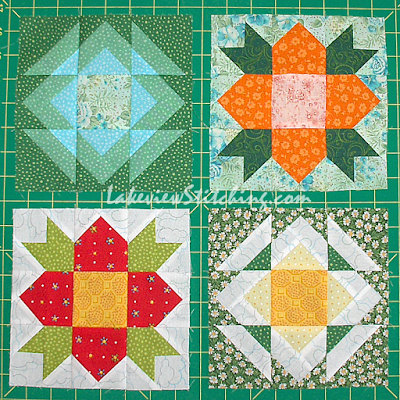 The last four pieced blocks for the TQS 2015 BOM, My Country House by Lynette Anderson, are finally done! Yes, I've been distracted by various new projects, but they were also a little picky to put together. 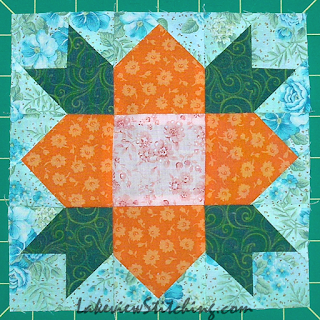 The original blocks finish at 9" square, but my 3/4 scale blocks finish at 6 3/4" square, and the math starts to get complicated. So I decided to foundation paper piece all the outside units. I drafted my own foundations on graph paper at the original 3" finished size, and then used the photocopier to reduce them to 75%, which is 3/4 scale. I don't know why my cutting mat always seems to be upside down! Anyway, then I trimmed the units, removed the papers, and put the rest of the block together like a normal nine patch. 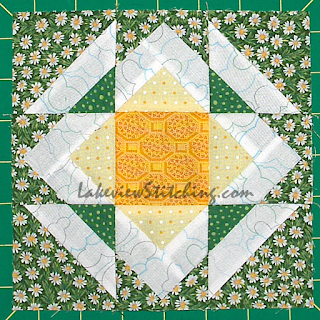 This block is called Garden Path. The white diamond is normally continuous around the block, but I deliberately broke it up. 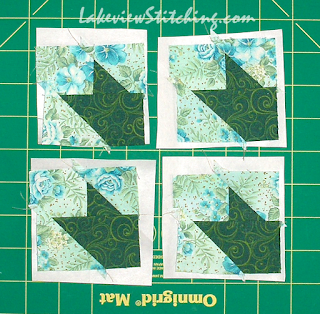 My hope is to balance these pieced blocks with the applique blocks, so I don't want the piecing to be too dominant. We'll see soon if I was successful with that! 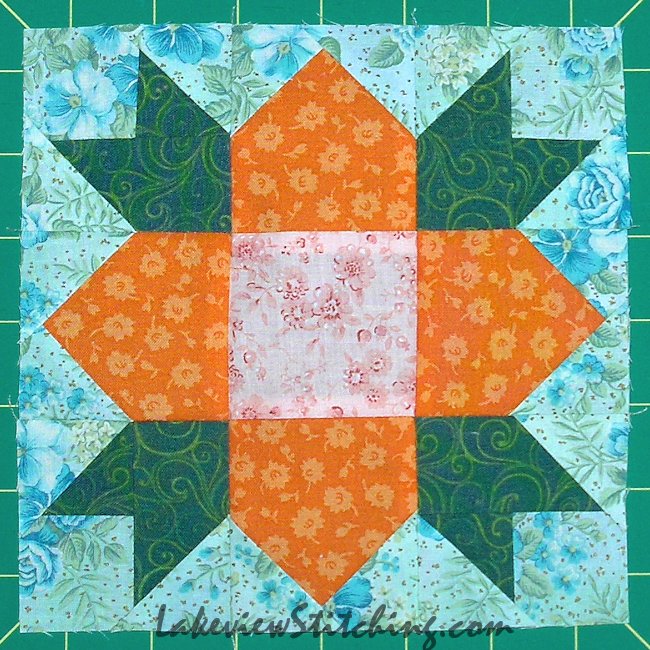 Truthfully, I was running out of ideas at this point, but I thought it might be interesting to have a block that is all background fabrics. It looks a bit like a swampy pond to me! And, here are all four together. If you missed the first nine, you can find them here. Good idea to use the photo copier to reduce the pattern to size! I like all of your blocks and especially like how you broke up the white triangle in the second block. I bet your blocks are going to sing well together! Thank you, Terry! We'll see how it works out. I think the final layout is going to be another puzzle! Very clever way to reduce the size. The blocks are looking good, and your piecing is perfect. Fun fasbric choices. Can't wait to see it all together. I love your blocks! Such great fabrics! 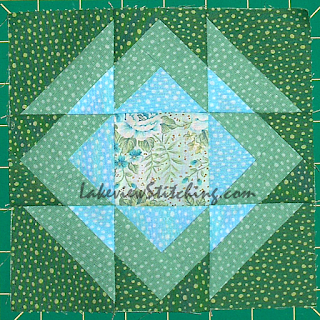 Perfect piecing too. They do say that necessity is the mother of invention! 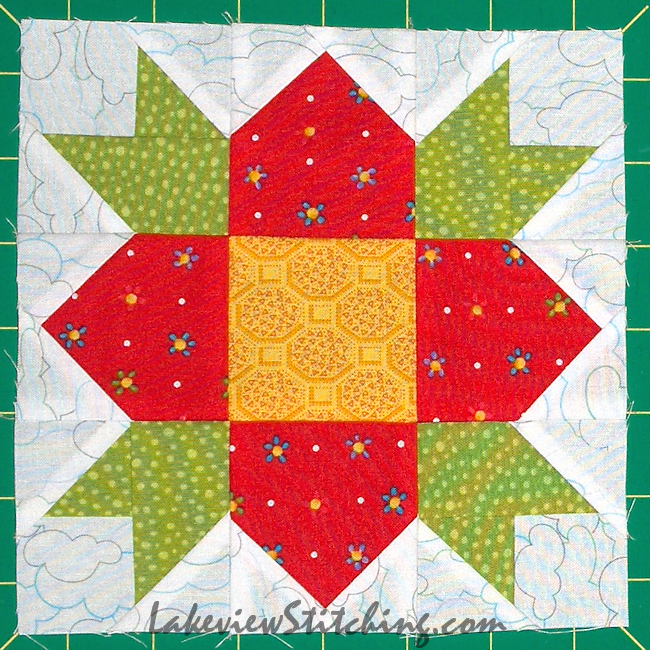 Your piecing is beautiful - such nice sharp points! It must feel good to have the blocks finished. They all look great, BTW. I think the last one, the one you called muddy, is quite inventive with it's subtle shading. 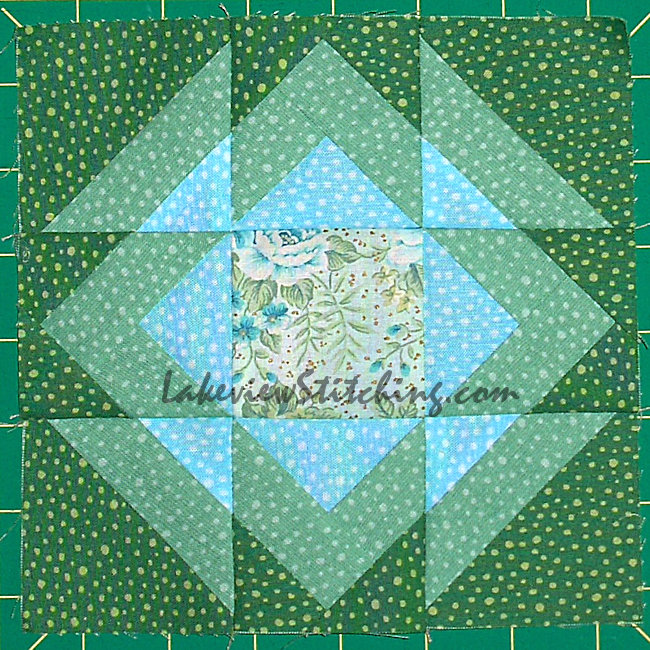 How much more work on the rest of the quilt? 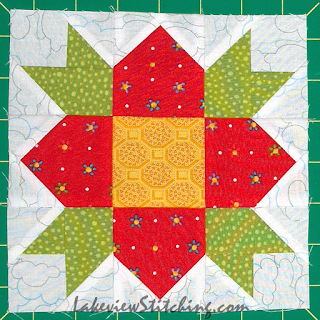 I'm looking forward to seeing the rest of your applique? Thank you! There's quite a lot that's almost done, just a couple more evenings to put in the last stitches. 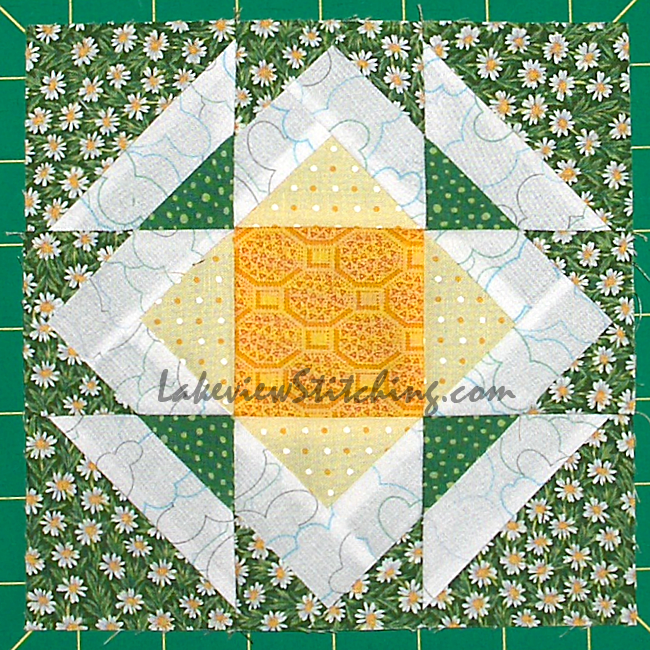 I'm irritated because I cut some of the borders too short, now I have to take them off and do it again. But, despite that, it IS going well!